By Jude Wiggins, Geography, University of Queensland, Australia. 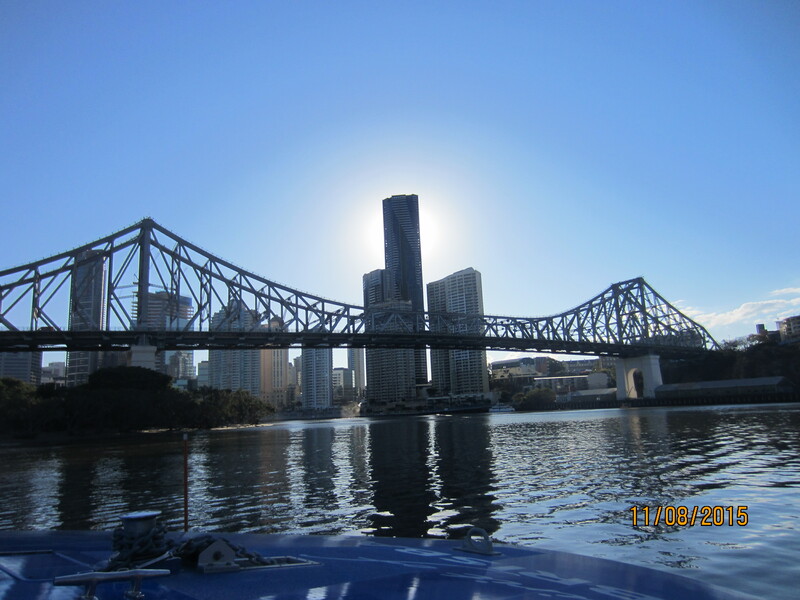 This weekend marked the 3 month anniversary of my arrival in Brisbane and I have no idea where the time has gone! (Also, sorry for the late post!) The first few weeks I was here I stayed in a hostel so that I could view houses, find somewhere to live and also sort out things like an Australian bank account and phone number. Staying in the hostel was really fun as there was always someone new to meet but it was relieving to find my own house and get properly settled into Brisbane. I managed to find a beautiful house with an amazing view of the city from the balcony- you would not get that in Fallowfield! I’m living in a share house with two Brits, two Chileans and one Australian. I did look into staying in University accommodation but it was quite expensive. Irregardless though I’m happy with my house and location. Brisbane as a city is so laid back. Even though it’s a huge cosmopolitan city there is still a very chilled vibe. Everyone’s so friendly and willing to stop for a conversation – it’s so different from any city I’ve ever been too before. At the moment I’m just waiting for the weather to get warmer. The week I arrived in Brisbane was the coldest on record for 60 years! It was absolutely freezing I had to buy a hot water bottle. However everyone has been reassuring me that in the next few weeks it’s going to get very very hot and humid. 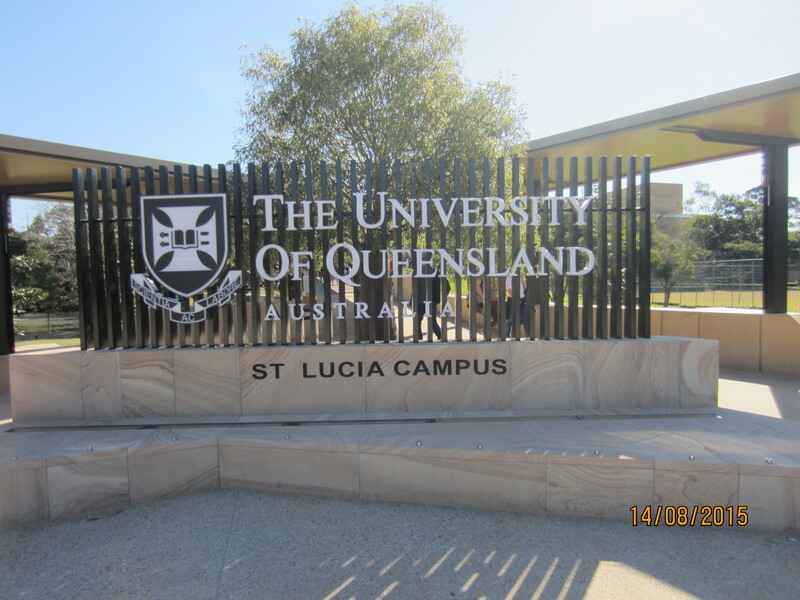 Welcome to the University of Queensland! 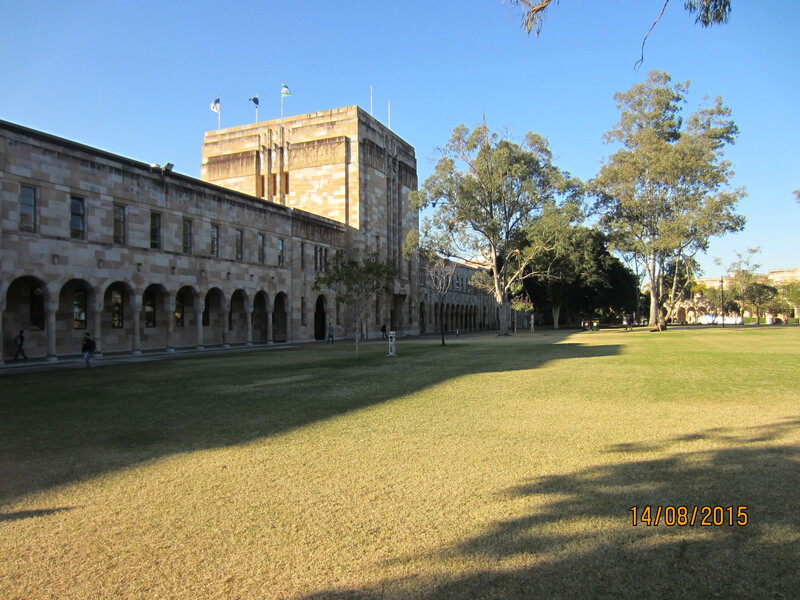 The University of Queensland campus is so beautiful, in fact it’s more like a National Park. There are lakes with eels and turtles and lots of green spaces where you can study. The week before lectures started there was a compulsory ‘Orientation Week.’ This was a bit like Freshers Week but it was only for International and Exchange students and there was a lot more going on in the day – free BBQs and ‘Meet and Greets’ with Wombats and Snakes. I also had a compulsory lecture on all the different types of poisonous animals in Queensland – FYI there are 120 different types of snake that can kill you in Queensland alone. During the week I try to make myself as productive as possible so that I can have my weekends completely free. 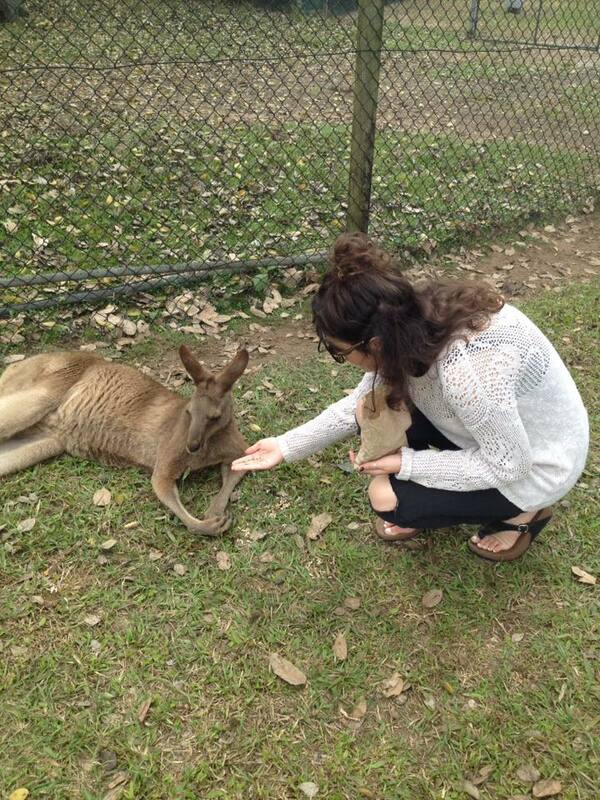 So far I’ve managed to fly up to Cairns to see the Great Barrier Reef, visited Byron Bay in New South Wales, spent the weekend at Moreton Island, visited a Koala Sanctuary, been to Surfer’s Paradise and also flown down to Sydney! Busy, busy, busy! But I promise I will try to update you all more regularly on my travels, study and adventures! Previous postArrival Reflections from Sydney!